Sharding is a type of database partitioning that separates very large databases the into smaller, faster, more easily managed parts called data shards. The word shard means a small part of a whole. As I promised in my previous post Sharding evaluation #1 I continued investigating the impact f the number of shards. In order to get a feeling for Sharding I decided to set up a Cluster "by own hands"
In a single server environment, it is rather easy to create a transaction consistent backup. You find (or force a specific point in time with no open transactions. Freeze your server, take a snapshot and you are done. 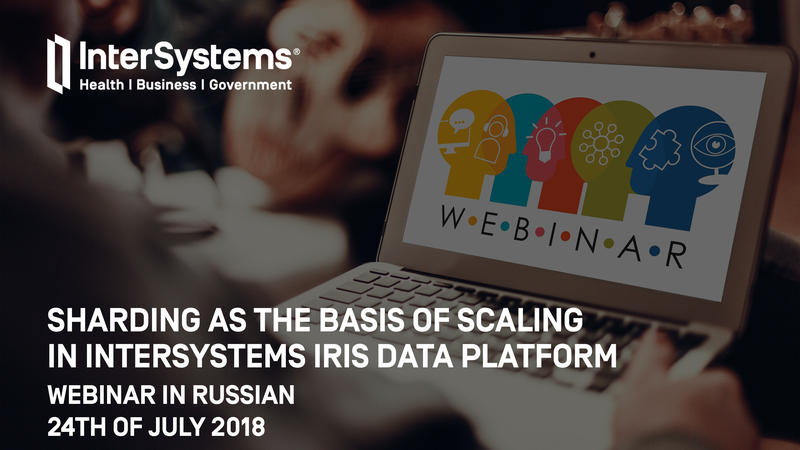 Last week, we announced the InterSystems IRIS Data Platform, our new and comprehensive platform for all your data endeavours, whether transactional, analytics or both. We've included many of the features our customers know and loved from Caché and Ensemble, but in this article we'll shed a little more light on one of the new capabilities of the platform: SQL Sharding, a powerful new feature in our scalability story.